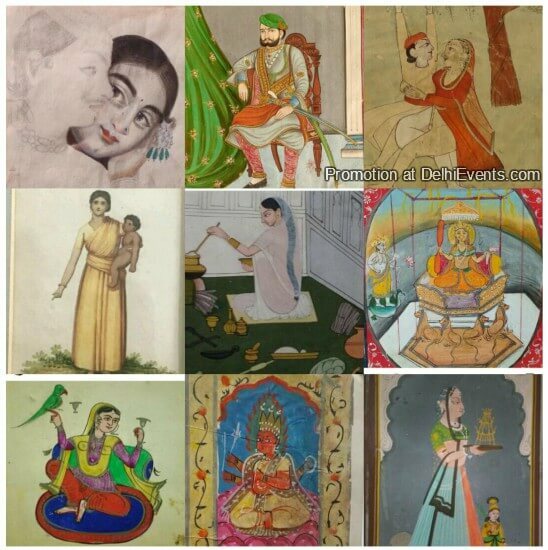 Event Description : EXHIBITION : Navratana presents "Hifazat - To safeguard or preserve" A Group Show of Paintings. This exhibition is an attempt to remind us of the importance of preserving our ancient treasures and culture displayed in these great artworks. Hifazat also applies to the safekeeping of the artwork themselves. There are many techniques and artistic genres unique to the Indian diaspora that will be displayed. The artworks depict techniques and methods of many of the forgotten Indian schools of art. Indian artists were leaders and pioneers in ancient times, unfortunately many Indian artists now aspire to creations that mimic the west and most of the techniques displayed in these works have been lost. The Pahari school with its detailed miniature artworks can be traced back to the 9th and 10th century. This is one of the schools whose techniques have been lost. The schools of Indian art included in this Exhibition include Rajasthani, Bazaar, Mughal, Punjab, Folk ,Nathdwara, Company, Bengal and Pahari. Navratana invites you to admire and safeguard them all.. Welcome to Hifazat.